Kevin is always amazed when I finish a book in less than twenty-four hours, as I did with this one. Yet, when several of those hours are spent on public transportation trying to make it into a city crowded with post-holiday shoppers and a few more of those hours are spent laying in bed blissfully knowing you have no where to be because you are on Christmas vacation...well, what does he expect? If my iPod had not died on the train on the way home, I would have finished this fun, light-hearted memoir in less than twelve hours. 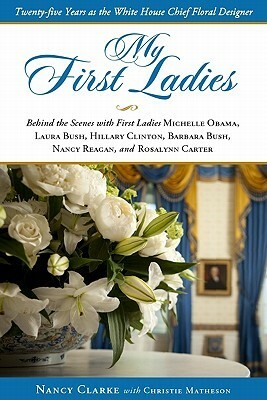 My First Ladies made its way onto my iPod at the last minute before we hit the road for the big city with Kevin's family. I knew I would need something to read en route and when this popped up on our library's digital loan website, I went immediately for the download button. You may remember from earlier this year that the goings on inside the White House are fascinating to me. Ever since I did a project on that famous house in elementary school (for the record, the Styrofoam White House my mom I made was way better than the sugar cube White House my classmate made), I have been entranced by its history and the stories of those within its walls. I did it! 52 books in one year! There will be several wrap up posts coming as well as some ideas about 2013 and the future. For now, though, I am content to celebrate meeting (and surpassing!) my goal. I knew Christmas break would come through for me, and it has. It seems oddly appropriate to have reached the finish line on this ridiculous little book with its nonsensical, feel-good title. While preparing this post, I struggled to even qualify what genre label it deserved. It is not fiction, but I hesitate to call it non-fiction as Stephen Colbert's outlandish statements should be taken with more than a grain of salt. I finally settled on creating an entirely new blog label just for this book: satire. 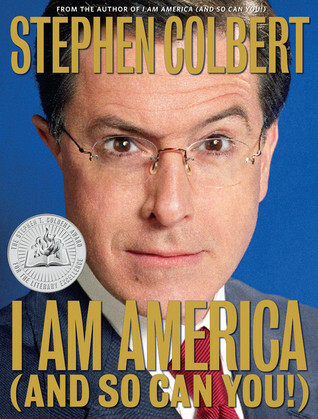 Nothing else fit quite right and Colbert is nothing if not satirical. For those unfamiliar with Colbert, he hosts a "news" show on Comedy Central. He plays an uber-conservative, right-wing version of himself. You can't really understand unless you watch some clips of his show. Merry Christmas, everyone! We are so grateful to work for a university and consequently get a little extra time off during the holidays. It's always a great time to get a little extra reading in, and that's just what I have been doing. At this point, I only have one book to go to finish my 2012 challenge. From here, it's only a matter of deciding which of the 5 books I'm halfway through will be the one I finish - or if I should start a new one altogether. Six days left and I am well within reach! It feels good! I stayed home sick two days last week and it gave me the opportunity to finish up this gem. I really do not remember how this book presented itself to me. It does not fall within the categories of what I normally read. 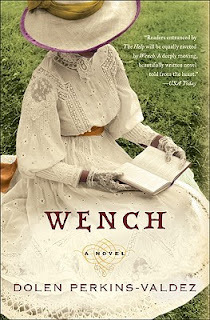 I love historical fiction as much as the next person and have read quite a bit of it over the years. I have not, however, read an abundance of historical fiction revolving around slave stories. Some way or another, Wench caught my attention. Perkins-Valdez's novel does not reflect the typical plot set on a Southern plantation. Rather, the story is that of a hotel resort where some Southern slave owners would vacation, often with their slave mistresses. If you have been around the blog long enough, you probably know that I enjoy food. I enjoy eating it. I enjoy making it. I enjoy reading about it. In fact, one of my favorite books that I have read this year was Blood, Bones, and Butter. Three guesses what that one's about. I also really love history and reading about it. 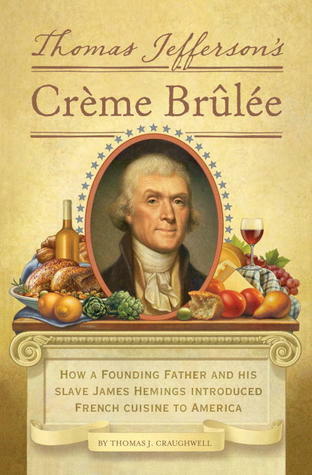 Conclusively, a book about the history of food should be about my favorite thing in the world, right? That was my hope when I discovered this book. Thomas J. Craughwell presents an interesting thesis. His work describes Thomas Jefferson, along with one of his slaves, as the vehicles by which French cuisine came to America. Between writing the Declaration of Independence and serving as the nation's third president, Jefferson served as an ambassador to pre-revolutionary France. During this time, he took with him James Hemings, one of his slaves. Jefferson made an agreement with Hemings. Hemings would master French cuisine while overseas. Upon their return, he would train another slave in the art; Jefferson would then free Hemings. When J.K. Rowling announced she would write another book, Harry Potter fans everywhere rejoiced. 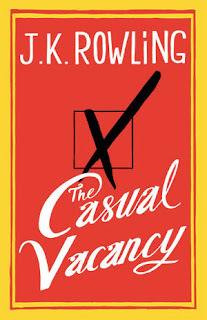 The Casual Vacancy, however, offers a side of Rowling unseen in her best-selling series. Vacancy has been, from the start, a novel decidedly written for adults. The content, language, and even, to an extent, the writing style have been vamped up in age appropriateness. Nevertheless, the basics of what makes Rowling a strong writer remain. Vacancy tells the story of a small British town in which a member of the Parish Council dies suddenly. His position, now open, is classified by law as a "casual vacancy," hence the book title. The town has been long embroiled in a conflict with its larger, more urban neighbor for decades. The town itself, Pagford, has citizens on both sides of the battle. Simply put, some Pagford dwellers want to renegotiate the city limits so that the Fields, a rough neighborhood populated by the poor and a significant number of substance abusers, would no longer be under the jurisdiction of the town, therefore denying them their quality schools or financial resources. Others in Pagford want to reach out to the Fields and continue supporting its residents through better schooling and the funding of an addiction center. The Parish Council has found itself split evenly on the issue for years. The death of Barry Fairbrother, however, leaves an opening for real change to be made.